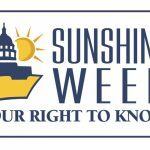 Sunshine Week is initiative with the goal of promoting government transparency and freedom of information on a local and national scale. 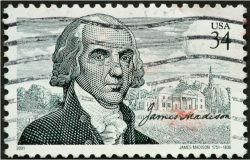 Established by the American Society of News Editors, Sunshine Week occurs annually during the week of March 16th in tribute to the birthday of President James Madison, who is historically renowned as a founding father of government checks and balances. At Laserfiche, we celebrated Sunshine Week by blogging and hosting three webinars in partnership with local government organizations who have made strides in improving transparency and ease of access to information through technology solutions. After an exciting week of learning and collaboration, we’re ready to reflect on our favorite topics from Sunshine Week. We had a great time talking with Mike Hawkins, Enterprise Content Analyst, and Sarah Jacobson, Manager, of La Plata County, CO. They held a webinar March 13th to discuss the benefits of going digital with their response to public records requests. Using pre-built templates from the Laserfiche Business Process Library, the county was able to dramatically improve delivery of public services. Additionally, their custom public portal makes information more accessible while meeting regulatory requirements of the Colorado Open Records Act. The next step for La Plata County? Expanding to further departments to improve records management through data centralization. La Plata County, CO has identified key departments that can benefit from business process automation and data centralization. 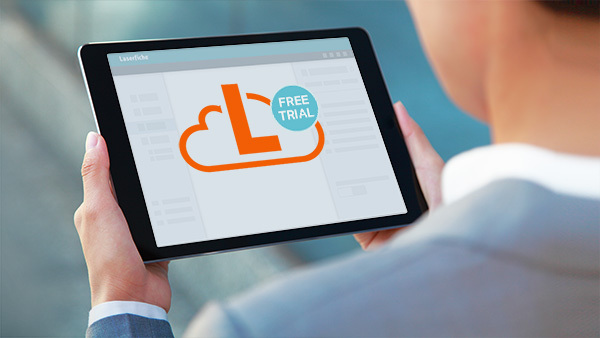 “We chose Laserfiche because of how robust it is, how seamlessly it works with other systems we use and how easily we can set up automatic document deletion,” says Jacobson. To learn more about how to leverage technology for speed, accessibility, and citizen demand, check out this informative blog post. Compliance with regulatory laws is of the utmost importance in government, but can often feel like a burden when it comes to getting work done. In our webinar, March 14th, Barbara Brooke-Reese, MIS Manager, from the City of Sebastian, FL, shared the city’s tips and advice on how to deal with the challenges of maintaining a balance between transparency and compliance, and how they used Laserfiche to achieve a solution. Her first piece of advice: Change thinking patterns in your organization from reactionary to visionary, which she defines as “finding a solution to prevent a problem from occurring in the future“. From this mindset, she argues, one can begin working towards a solution that maintains compliance easily while minimizing the risk of penalties. At City of Sebastian, staff use a combination of scanning and indexing tools, automated workflows and a public portal to streamline communication across the board. These improved communication techniques keep their organization up-to-date with the latest regulatory requirements while delivering excellent citizen services. City of Sebastian, FL offers tips on how to establish a balance with across departments when implementing a digital transformation. Beyond maintaining compliance, technology like Laserfiche can aid improve delivery of services and citizen communications, such as in an emergency response. Read this blog post to learn more. We had the pleasure of hearing from records management experts Tim Nolan, Application Manager, and L’Cena Parsons, Records Manager, at Collin County, TX in an informative webinar March 15th. The Collin County team shared how they converted 15,000 paper records into an easily searchable digital repository, improving search and retrieval time and dramatically decreasing storage costs. They also broke down some of their tried-and-true methods for initiating a digital transformation plan and discussed plans for future projects, such as an organization-wide Laserfiche onboarding and a digitization of the District Attorney’s office. Collin County, TX shares lessons learned from undergoing a massive digitization project in their records management department. Read this blog post to get inspired by Collin County’s impressive records management transformation. To conclude Sunshine Week on March 16, we looked back at one of our founding fathers, James Madison, on his birthday. Madison is acknowledged as a pioneer in developing governmental transparency and compliance ethics, thus Sunshine Week is celebrated as a tribute to his legacy in the U.S.
Madison’s policies helped to establish the concept of three distinct branches of the federal government, judicial, congressional, and executive. The historic Freedom of Information Act (FOIA) , enacted in 1967, is another nod to prevalence of transparency in modern laws. To learn more about how Madison’s legacy continues to shape government transparency, read this blog post. Sunshine Week may have come to an end for 2018, but we’re advocating for government transparency and innovation all year long. Learn more about how your government organization can improve citizen services and streamline business processes through technology in this Center for Digital Government Whitepaper.